My name is Meghan Smith, and I am so proud to say that I am the president of the Alpha Theta chapter of Sigma Kappa here at the University of Louisville. I speak for us all when I say that we are thrilled to have you at the University of Louisville. The Panhellenic community at U of L is unlike any other, and something we are proud to be a part of. Greek life as a whole is supportive, uplifting, and an incredible way to make the most of your college experience. Our Alpha Theta chapter was founded at the University of Louisville in 1922—making us the first sorority on campus! Sigma Kappa was originally founded at Colby College in Waterville, Maine in 1874 by five women who were desperate for the support and unconditional love our sisterhood was ultimately founded on. As the only women at their college, their motivation for unifying together in Sigma Kappa is the same as ours—dedication to supporting social, intellectual, and spiritual development among one another. My experience in this sisterhood has been nothing short of that. In addition to the unconditional love, joy, and support I receive from these women, they push me to be a better human. With focus on our four values—loyalty, friendship, service, and personal growth—I have seen myself and my sisters develop into incredible civic servants and brave young women that seek out challenges for opportunities to grow. We make it a point to live these values each and every day. In addition to participating in our national philanthropy, each member completes countless hours of community service. The connections made in Sigma Kappa are invaluable, both on a local and national level. For every success in my college experience, I can point you to several Sigma Kappas that helped me get there. Attending our 88th biannual Convention and Regional Leadership Conferences has connected me with strong, intelligent, all around inspirational women. The women in Sigma Kappa have shown me the kind of woman I aspire to be, and support me every step of the way in getting there. that surround me. I would not be half of the student, leader, or friend that I am today without this chapter. 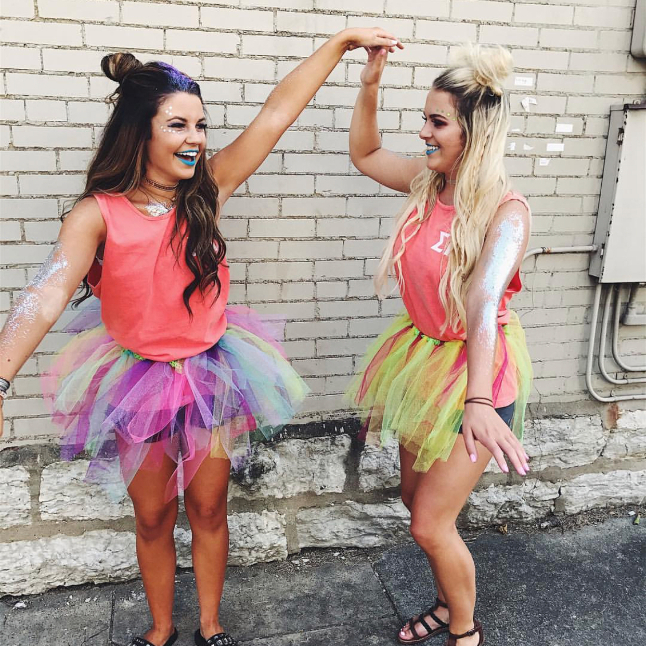 In Sigma Kappa, you’ll find your biggest fans—women to celebrate your successes and support you through the failures. While my words cannot possibly do it justice, I am so excited to be able to share a bit of this sisterhood with you in welcoming you to our campus. On behalf of us all, we wish you the best of luck at U of L! Go Cards!